Slice the chicken across the grain into 1/4" -inch thick, bite-sized pieces. Place the chicken into a bowl and add the cornstarch, rice wine and soy sauce. Stir to combine until the cornstarch has completely dissolved. Add the sesame oil and stir to evenly coat. Set aside. To prepare your mise en place, slice the onions. Slice the mushrooms into 1/4" -inch thick slices. 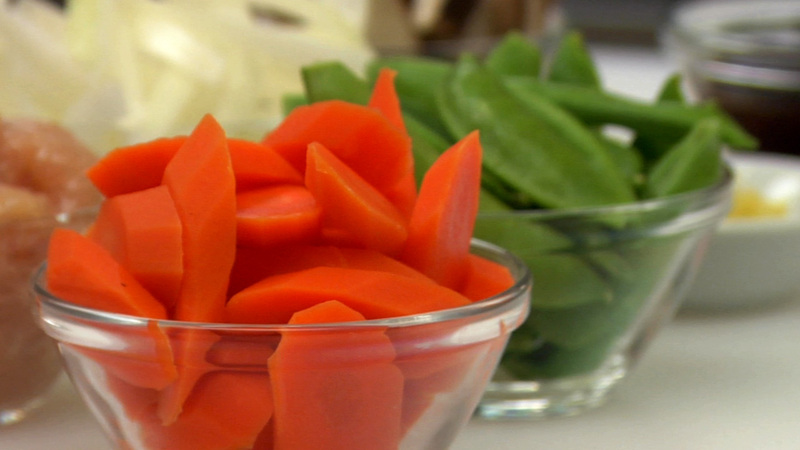 Peel and slice the carrots on the bias. Trim the stem end off of the snap peas and remove the string, if desired. Thinly slice the green onions on the bias. Mince the garlic and ginger. Set aside. Stir-fry chicken – remove. 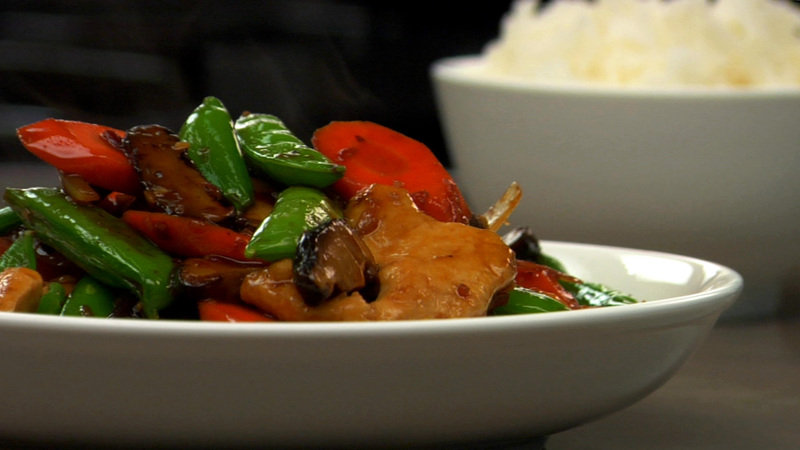 Stir-fry the onions — mushrooms — carrots — snap peas — add garlic & ginger — return chicken and juices to wok — add sauce — finish with green onions. 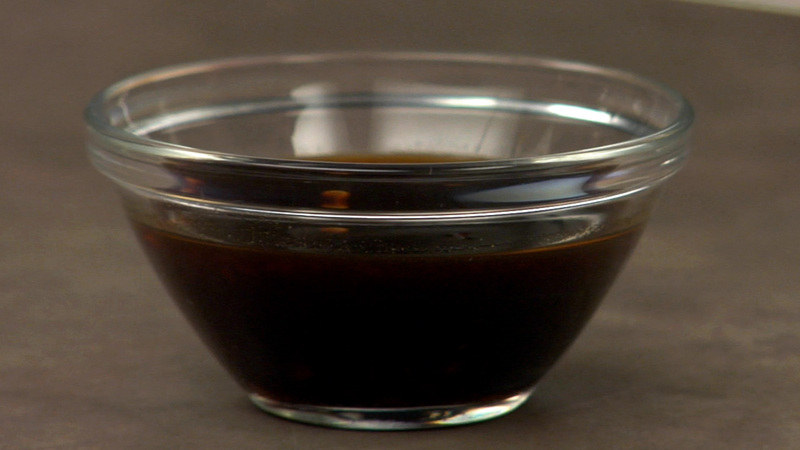 Feel free to add a touch more oil during the stir-frying process, if needed. Serve immediately. I am very allergic to shellfish, what is a good replacement for oyster sauce? Here is another thread that asks and answers that same question. Cheers! I was able to find black glutinous rice wine (Chinese) and cooking Michiu (Thai). Are either of these suitable for this dish? While the flavor of Shao Hsing rice wine is not quite the same as a black rice wine, you could certainly try it. I am sure the dish will still be delicious. Alternatively, you could try using a dry sherry, as this is closer in flavor to the Shao Hsing. Here is a bit more about rice wines and potential substitutions. Hope that helps. Cheers! Can I use these instead? Yes, you can for sure. Be sure to soak them well so they swell completely (I cover in them boiling water and let sit for a few hours) and then slice them very thinly. They do not have the same texture as fresh, but the flavor will be deep and earthy. ~Enjoy. Question about incorporating velveting for this recipe and timing. Would you 1) velvet the chicken and then put it in the rice wine mixture or 2) put it in the rice wine mixture and then velvet? My thought is it would be #1 or the seasoning will just slough off in the hot oil but I didn't know if the egg would hold the seasoning in. Thanks!